This is another layout I made using palette from thecolorroom.ning.com. 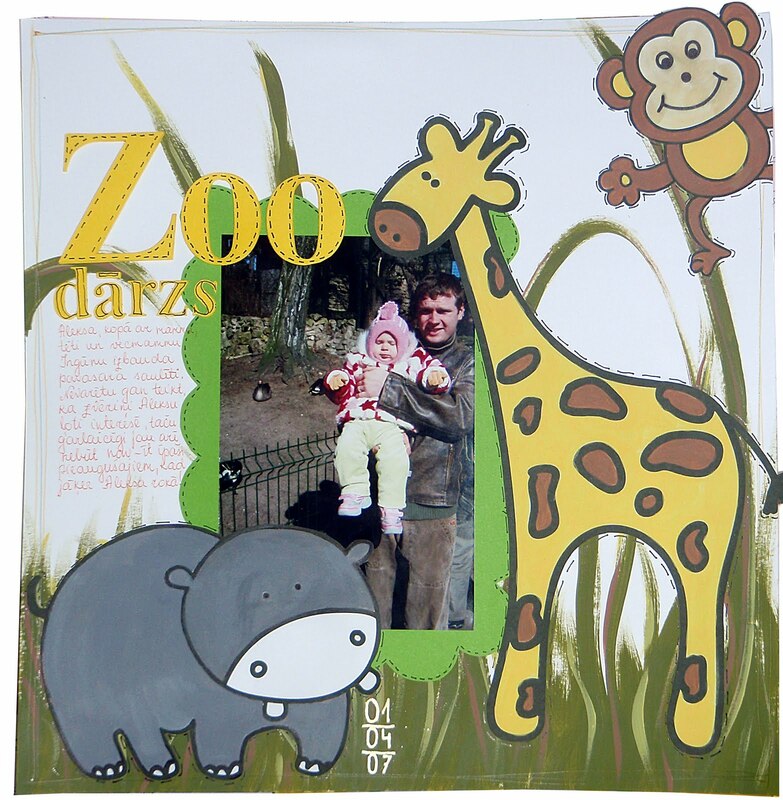 Palette #24 seemed very wierd and dull, but then I found this pic with my husband and Aleksa in zoo three years ago and I suddenly changed my mind. I just felt that I need to get my acrylic colours out and start painting something, so I downloaded these doodled animals from scrappincop.com, printed them and coloured with matching colours. Then I added some random strokes for my grass on blank scrapbook page to have a background. I also drew simple yellow and green lines as borders around the edges of page - I had never done like that before and all I can say - it was very fun and I do like the result. Photo was mounted on a green card mat and hand-cut in scallopish way. Title as always is made with my Silhouette. To have some element that would join all my objects on page I added some stitched lines along photo border, animals and letter for title. Last but not least, I added date in this vertical format with a golden Metallic Gelly Roll from Sakura.